DENVER – About 190,000 Coloradans will lose access next year to health insurance plans which don’t comply with the Affordable Care Act, the Colorado Division of Insurance (DOI) decided. 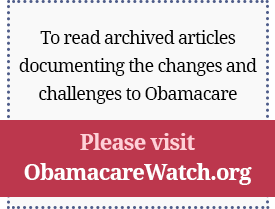 In March of 2014, President Barack Obama decided to give states the option of allowing people on noncompliant health plans to be grandfathered in by renewing their old plans early, while problems with insurance exchanges were ironed out. Colorado insurance commissioner Marguerite Salazar opted to do that for 2015, but told 9NEWS on Friday that the exception is no longer needed for plans in 2016, even though Colorado could have continued them an additional year. Salazar said she consulted with Gov. John Hickenlooper (D-Colorado) before making the decision and says she heard passionate arguments for and against ending the noncompliant plans a year earlier than required. Among the most powerful arguments, she said, came from business people who wanted a stronger risk pool for health insurance in the state. Republicans think it’s foolish not to allow the plans to continue for another year if the Obama administration would have allowed it, especially in light of technical glitches with Connect for Health Colorado, the state insurance exchange, in the last open enrollment which affected automatic renewals and subsidy determinations. “I would have expected a waiver to be granted so those people’s needs would be put first, not supporting the failed policy of this administration,” Cadman said.